The Milwaukee Bucks had a historic regular season this year. 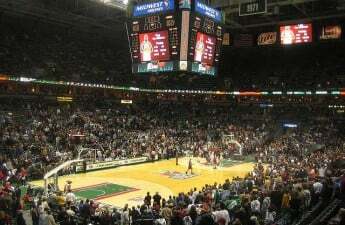 Achievements such as a 60-win regular season, a potential MVP performance from Giannis Antetokounmpo and strong performances from his supporting cast helped the Bucks secure the No. 1 seed in the Eastern Conference playoffs. 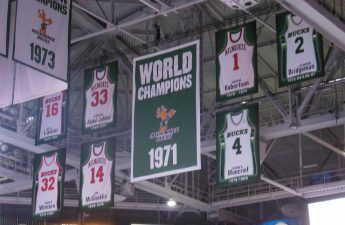 As the NBA regular season drew to close Wednesday night, the Bucks will have the pleasure of taking on the eighth-seeded Detroit Pistons in the first round. The Bucks are the East’s top seed for several reasons. First, Antetokounmpo made yet another substantial leap in developing his game this season. The Greek Freak was undoubtedly the league’s most dominant force from start to finish, with many now comparing him to a young Shaquille O’Neal. Even Antetokounmpo’s outstanding stat line of 27.9 points per game, 12.5 rebounds and 5.9 assists per game does not do him justice — you simply have to watch him play to truly appreciate his presence on the court. Despite playing without key role players Malcolm Brogdon and Nikola Mirotic for much of the season, the Bucks’ core supporting cast — Brook Lopez, Khris Middleton, Eric Bledsoe — has consistently enhanced the team’s offense, especially in 3-point shooting. As a result, the Bucks lead the NBA in points per game with 118.1. Furthermore, the Bucks defense has been stalwart and finished first in net defensive rating, which measures a team’s efficiency preventing the other team from scoring. Meanwhile, the Detroit Pistons have limped their way into the playoffs, losing four out of six games to close out the regular season. Their best player, Blake Griffin, suffered a knee injury, and as of now Head Coach Dwane Casey is unsure if his star is playing in game one Sunday. Although he will probably end up playing, his injury is going to have a negative effect on his performance. Along with Griffin, the Pistons feature center Andre Drummond, whose 15.6 rebounds per game led the league this season. Drummond is a large presence in the paint, while guard Reggie Jackson provides a solid third scoring option for Detroit. A major weakness for the Pistons is their bench production and mediocre defense. The Pistons finished 25th in points per game and 12th in defensive rating. Milwaukee exposed Detroit’s debilities during the season having swept their regular season series with the Pistons 4-0. 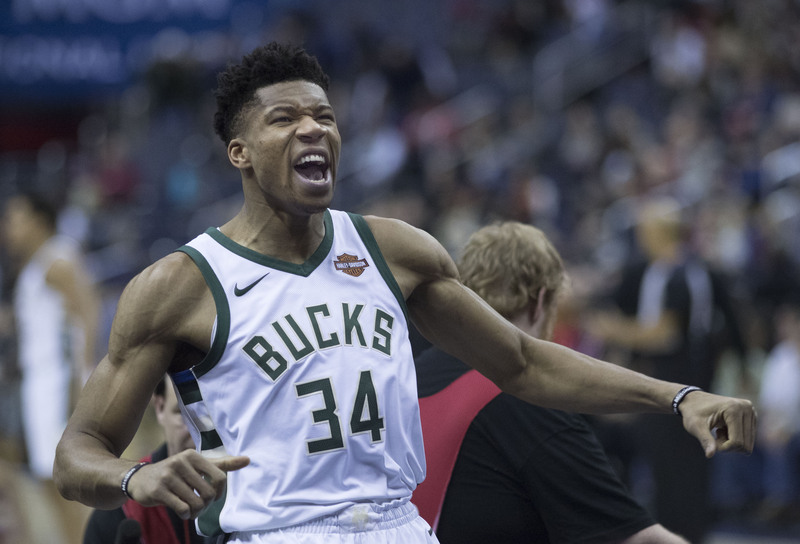 Though Antetokounmpo could probably single-handedly defeat the Pistons, having support from his fellow starters and the deep Bucks bench will be crucial in the first round. Middleton and Bledsoe must contribute consistent scoring to overwhelm the Pistons’ defense. Additionally, Lopez must continue to drain 3-point shots to distract the Pistons’ defense from Antetokounmpo. Bench players like George Hill and Pat Connaughton have shown flashes of offensive capability. If they can be consistent with their scoring, the Bucks will have no problem defeating the Pistons.